About two-dozen people filed into the basement of the Berean Presbyterian Church on North Broad Street last Saturday. Assembled at big round tables and on folding chairs between two low-hanging basketball nets (I half expected a lecture on hygiene – it felt like I was back in junior high again) the small crowd ranged from Temple students in oversized sweats to middle-aged women wrapped in warm coats to a couple with their fussy toddler. 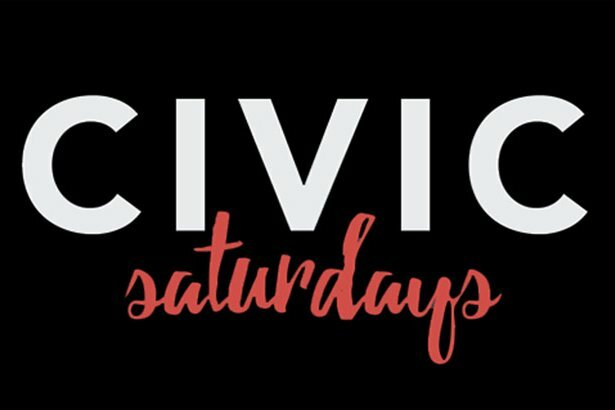 We came from all walks of life and parts of the city for the first Civic Saturdays, a free new public program created by Malcolm Kenyatta of the Greater Philadelphia Chamber of Commerce, to explore the practical aspects and history of American government. The next Civic Saturdays program is tentatively scheduled for April 15. In many ways, the lecture (combined with a group activity in which people took on the roles of the three branches of government – along with a special guest appearance by state Sen. Sharif Street) felt a lot like a recap of social studies class – but a good, important recap made for our modern times. How many of us remember all of the nuances of how laws are made or what it takes for a majority, how the president vetoes and why we even have a Supreme Court? The refresher couldn’t come at a better time in our own testy political atmosphere, especially as some of us may feel overwhelmed by the system, wondering how exactly we can make our voices heard over the din of digital media trolling. 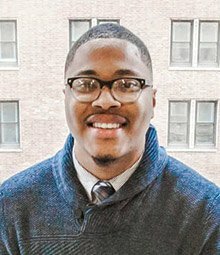 Malcolm Kenyatta created “Civic Saturdays” to explore the practical aspects and history of American government. “Hopefully it inspires you and intrigues you when you leave here,” he told those who attended the first gathering. It sounds simple enough. And it is. And it isn’t. How well do any of us remember our lessons about American history? Do we still have those ridiculous images of happy Native Americans crowding around the table with Pilgrims? The founding fathers sweating their wigs off in Carpenter’s Hall? What about the slaves that were being held against their will as our leaders stoked the fires of freedom? History is a bit more complex than the textbooks would have liked us to believe. Just ask good ole Howard Zinn, whose People’s History of the United States is still considered controversial for its frank expose of race and gender discrimination at the heart of our “freedoms.” History is complicated, even the most to-the-point stuff we know to be true, like Nixon being impeached. In 2017, it’s not easy exploring the past without offending at least one person in the room. To pull this off will be no easy feat especially as, I predict, these event become more popular. It’ll be another reason not to miss the next one. Trust me. Talking history – real history – the stuff that would have made your fifth grade teacher blush, isn’t easy by any means. But Kenyatta is passionate, he’s the kind of guy who can see through the BS and maintain a certain healthy suspicion about how things got started and what it can teach us about today. He loves civics. And he loves sharing what he knows about civics. It’s a winning combination. Starting with the American Revolution and exploring the nuts and bolts of colonial activism, Kenyatta’s refresher on the foundation of our government is also a kind of history of Philadelphia. I couldn’t help but imagine what the Constitutional Convention would have been like if the founding fathers had Twitter. Would Ben Franklin have been tweeting smartass quips about free speech while Alexander Hamilton threw shade at the New Jersey Plan? For his part, Kenyatta has a professorial air about him. But you can also tell he’s a guy who’s listened to the Hamilton soundtrack a few thousand times – and strives to make Civics 101, well, cool again. The two-dozen or so people – and the hundreds that streamed the event live on Facebook – were privy to his take on everything from state’s rights to why local elections have a huge impact on our daily lives. It was a crash course in the very humble beginnings of our country’s government – and why it ultimately works even when things get hairy. By reflecting on both the triumphs and flaws of how our government came to be, Kenyatta provides an opportunity for each of us to put some of the most challenging modern day experiences into context. As someone who spends a lot of time reading history books (living in Old City makes it impossible not to be aware of Philly’s own rich colonial ghosts, especially as I walk past the house where Thomas Jefferson first drafted the Declaration of Independence on my way for coffee), I find that revisiting these old school lessons in a new way will ultimately provide useful perspectives on what all of us face today. Against good and safe judgment [the colonists] stood up for what they believed was right no matter the consequences. I wonder if any of us could do that ... Would we take up arms or simply sit online and complain? “Hopefully it inspires you and intrigues you when you leave here,” Kenyatta said. Not only does Civic Saturdays bring diverse people together online and in real life, it encourages all of us to participate in discussions about how government actually works and what our role is to ensure our elected leaders are listening. Have no question, these men and women work for us. We can’t let them forget it. By combining a lecture with audience participation, Kenyatta put everyone in the hot seat. After all – how much more lucid do we become when we have to stand in front of a group and defend a proposed piece of legislation, or when we listen to the president tell us why he will veto it? How much smarter might we be about local elections if we understand the extent to which our locally elected leaders represent our interests? How much more likely are we to share what we learned with others, maybe even encouraging people in our community to make sure they are registered to vote? There’s a method to his madness. Kenyatta wants to inspire more people to get involved in the government, whether that means showing up to council meetings, running for office themselves or simply holding elected officials accountable every single day. Frank talk like this is rare in our hyperdigital world where everyone has an opinion and isn’t afraid to blurt it out. It was refreshing, and the first time in a long time I encountered people listening to one another and being genuinely respectful and interested in what the other was saying. It was the anti-Facebook. It made me appreciate being at the event in person rather than tuning in online. I experienced something that wouldn’t have translated online – a camaraderie that can sometimes get lost in the echo chamber that is social media. The only concern I have about Civic Saturdays is that it’s impartial to politics. For this to succeed as an educational opportunity for all, it cannot lean liberal or conservative. Admittedly, the first round felt pretty blue. And I get it – this is Philadelphia, the land of cheesesteaks and Democrats. We are a Democratic city and Kenyatta is a Democrat. But I think for Civic Saturdays to ultimately work, Kenyatta and the guest speakers will need to maintain a level of unbiased exchange for the benefit of everyone. Otherwise this will be just another liberal event that misses the mark about what really matters – the process rather than the opinions. Ultimately, I would like to see a bipartisan discussion about how the government works in subsequent events. Both Democrats and Republicans should be invited to talk about their experiences locally and in Harrisburg. It’s impossible to erase all opinion from these discussions. We, as human beings, show up with our experiences, and they shape our opinions. We bring our race, gender and sexuality through the door. We can’t exactly leave that stuff in the coat check. But because of that, Civic Saturdays presents a unique opportunity to engage these issues while sticking to the facts, the stuff that created the system we are navigating to this day. On the whole, Kenyatta did that very, very well. He was smart to remind us all that America was, after all, founded on rebellion. Each of us is sitting where we are today because some very opinionated people before us stood up and took a stand against England despite it being an incredibly dangerous and unpopular decision. Keep in mind these were often flawed people. They had their fears and limitations, and they suffered their discriminations just as we do today. But they did something completely revolutionary and pretty damn badass. Against good and safe judgment they stood up for what they believed was right no matter the consequences. I wonder if any of us could do that if we were charged with the same. Would we take up arms or simply sit online and complain? Bottom line is Civic Saturdays has a lot of potential. It’s a good reminder that no matter how frustrating current events may feel (who isn’t one CNN news alert away from the booby hatch?) there’s a lot of historical precedent at our fingertips, be it a history book or a Google search. There are answers to our toughest questions in history…if we bother to look for them. Natalie Hope McDonald is a contributor to PhillyVoice.com.